A NEW franchise from the Southern Highlands, Petro Souths FC, will be competing in the 2010-11 Telikom National Soccer League challenge after paying their K75,000 affiliation fee. 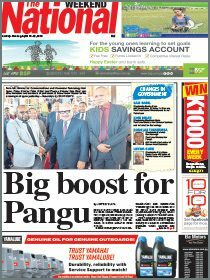 PNG Football Association senior vice-president John Kapi Natto, who is also the National Soccer League chairman, said the franchise had paid their fees to become a member of the semi-professional soccer league competition. He said the players that made up the Souths FC team were selected from recent soccer tournament sponsored by the Mineral Resources Development Company in Mendi, Southern Highlands. The club had also acquired the services of former Besta PNG United coach Matthew Witu. 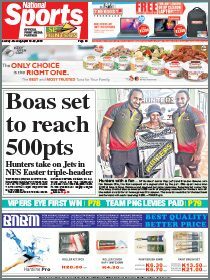 It is understood that the Souths FC will be based in Mendi and fly to Port Moresby and Lae for their matches. Petro Souths are among five other franchises – reigning champions Hekari United FC, Gigira Laitepo Morobe FC, Besta PNG United FC and Moresby Casino Hotel (MCH) Tigers FC who have confirmed their participation for the 2010-11 season. The MCH Tigers were formerly known as CMSS Tigers. Kapi Natto said the NSL board had to stick to seven franchise teams for this season to make the season more competitive despite strong interest shown. He added the national soccer body had made a decision at the closure of the National Soccer League season last year to stick to seven teams. With five already occupied, one spot is designated to a franchise team from Madang. The Madang Soccer Association officials and the business houses in Madang must submit their expression of interest or they will lose out while the remaining places are up from grabs between Eastern Stars, Esiloan University, Gelle Hills and the University of Lae. The National was reliably informed that Gelle Hills might be exempted from this year’s competition. Former National Broadcasting Corporation managing director Joseph Ealedona, who is also Eastern Stars FC representative, is believed to have picked up an expression of interest form but has yet to forward it to the NSL secretariat. Kapi Natto said clubs intending to participate this season should submit their relevant documentation with a K5,000 non-refundable fee with K70,000 at the closure of the affiliation deadline. PNGFA manager Edward Tauloi, who oversees the NSL operations, confirmed that five spots had been filled while one spot had been reserved for a possible team from Madang while the final spot was up for grabs.